I am so glad that you took the time to watch our story - we wanted to show you exactly what our life was like before and after we made this industry work for us! Here are ﻿a few other things we thought it was important for you to know! We have never had a traditional “job.” We have always worked from home. We have been in the industry for over a decade and have proven staying power. We consistently earn a high multiple 6 figure income per year and have done well over 7 figures in sales! We have brought in 200+ PERSONAL enrolees PER YEAR into several companies. We became the #4 all time enroller in a company with over 180K+ reps. We accomplished this in less than 6 months, ALL ONLINE and the company was 7 years old. Andrew has also been invited to speak at the premiere event in our industry “No Excuses” not once, but twice. He taught on advanced marketing strategies for Facebook and social media. We are multiple award winners and have been given the “Gold” Top Sales Award for outstanding achievement. We have won this award twice! We have also won the coveted “Team Builders of the Year” and "Promotors of The Year" award. We were only 28 years old when we were asked to be leaders in the leadership council, responsible for training distributors company wide. We were the youngest people ever asked and the only couple. We were responsible for running over 10 company calls a week to several thousands distributors. We were featured in Direct Sales Expert Mike Dillards “Magnetic Sponsoring Heroes” product. We have been top selling internet marketing affiliates for the likes of JP Shoeffel, Jonathan Budd, Mike Dillard and most recently, Justin Sardi and Austin Anthony in 2016. We have been called “Legends In The Making” by industry experts. We made over $79K in our primary business over the course of 1 month. Our biggest month ever in this industry has been over $140K in our own 7 day product launch. We just had another $100K and paid out over $32,000 in commission. 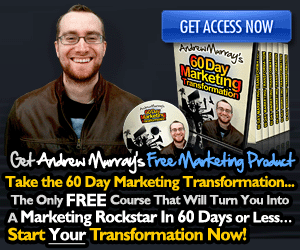 We have our own 2 day bootcamp marketing training. People who have attended paid over $10K each to come and learn from us.